This Humidifier would be a great upgrade or addition to your humidor. The Credo Epsilon is designed for humidors that hold up to 100 cigars, for humidors of more than 100 several Epsilon can be used. 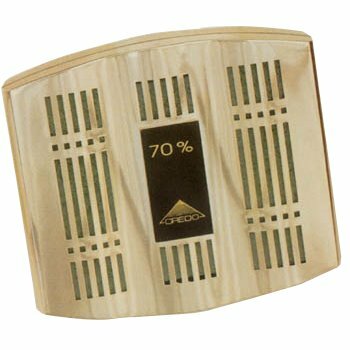 Credo humidifiers a chemical solution that when activated with distilled water will release or absorb moisture to maintain 70% humidity for worry-free preservation of your cigars. A great compact size, the humidifier attaches easily with a magnet. Keep your cigars perfect with the Credo Epsilon. Credo is one the most recognized brand names in the cigar industry. The Credo line of humidifiers use oasis foam, a physico-chemical solution, and will release or absorb moisture to maintain the proper 70% humidity.